To cater the variegated demands of our clients, we are highly engrossed in offering a wide range of Havells Joy Ceiling Fan. -electroplated brushed finish for long durability. 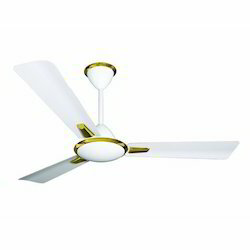 SUR Sangam Electro Marketing Co.
Ceiling fans are the most hassle free and efficient home appliance one could ask for. A part of every home, they add to the ease and simple joys of life. We are offering Hunter Ceiling Fan to our client.